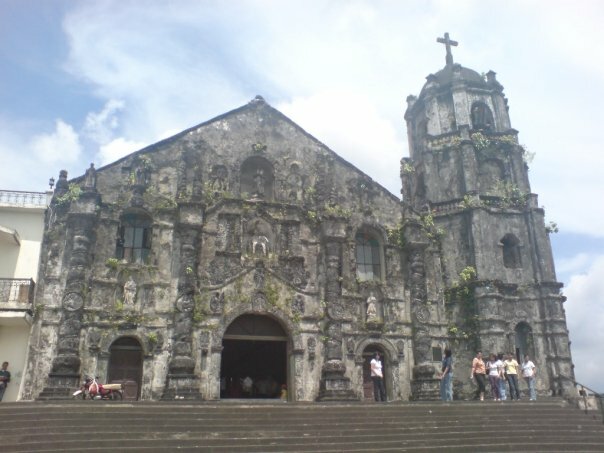 The Daraga Church (Our Lady of the Gate Parish Church) was constructed with volcanic stones, a number of which have been etched or carved with religious images. ONE of the most spectacular welcomes that I have ever encountered in all my years of traveling around the Philippines or abroad is the majestic Mount Mayon Volcano coming into view of a plane’s window. The sight of the sweeping curvaceous slopes rising to a near-perfect cone puffing white wisps of smoke is enough to take one’s breath away. And while you cannot escape its colossal presence—Mount Mayon is visible for miles around even as far as the neighboring provinces—there are several other spots in Albay, even in its capital city of Legazpi alone, that are worth visiting. Two of the best times to visit Albay are during the Magayon Festival in April and the Ibalong Festival in August. The Magayon Festival showcases the culture and artistry of Albayanons (as Albay folk are called), and features beauty pageants, food festivals, trade fairs and street dancing. At the Ibalong Festival, people wear masks depicting the ancient heroes and villains in the folk-epic. A bit of history. Explore a tunnel that was carved out during World War II and where the Japanese military hid their ammunition, located at the Ligñon Hill Nature Park. 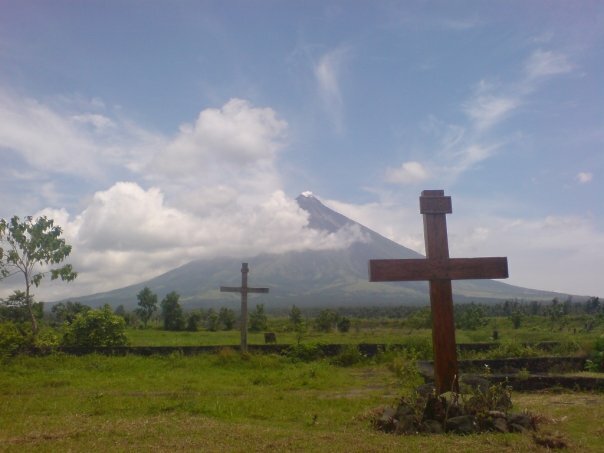 Aside from its historical background, the park also offers a panoramic view of Legazpi City, Mount Mayon and its environs, the town of Daraga and the shimmering Albay Gulf. Try other activities in the park such as ziplining, running or jogging along its winding, rising incline, biking or rappelling. Waterworks. Busay Falls (Barangay Malilipot) is said to be one of the highest in the country, cascading from 250 meters in seven levels into seven different pools. The last waterfall, a single cascade from 40 meters, is the most popular among tourists who usually come during the sizzling summer months and rent the available huts in the area. Refreshments and snacks may be bought from vendors in the vicinity. 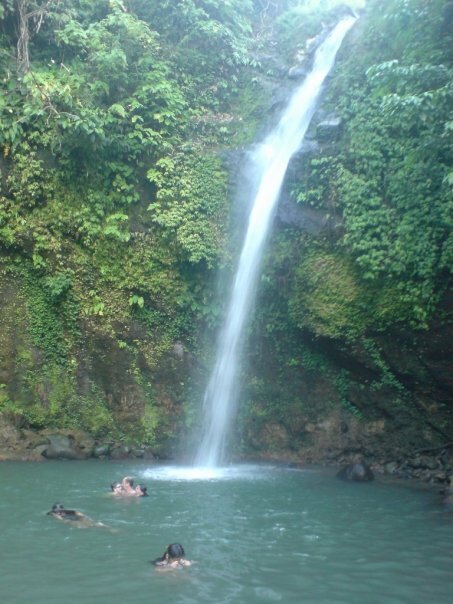 One has to hike about a kilometer through lush vegetation to get to the gushing Vera Waterfalls (Barangay Bulang). Located in a ravine, the water streams from several points in the bedrock spraying into the pool down below. Bring your own food and beverages for a picnic but make sure to clean up after. The hike back up from the ravine may be quite difficult for inexperienced hikers so it’s best to rest periodically to catch your breath. Pilgrimage. Marvel at the baroque architecture of the Daraga Church (Our Lady of the Gate Parish Church), built by Franciscan missionaries in 1773, in Barangay San Roque. Volcanic stones, with engravings and carvings, were used in the construction of the church, making it one of the rarest in the country. It has been tagged a National Cultural Treasure by the National Historical Institute of the Philippines. Mt. Mayon, the enduring icon of the province of Albay, as seen from the Cagsawa Ruins, which are remnants of an old Franciscan church buried during the eruption of the volcano in 1814. About 1,200 residents in the town of Daraga died from the eruption, hundreds of whom had taken refuge at the church. The Cagsawa Ruins (Barangay Busay, Cagsawa) is what remains of an old Franciscan church that was damaged during the eruption of Mount Mayon in 1814. The old church’s belfry still stands, a constant reminder of the dangers of living near the still active volcano. Outside the park are stalls selling popular products made from abaca such as slippers, hats and bags. Other churches worth visiting are the Saint Dominic Guzman Parish Church in Santo Domingo; the Albay Cathedral (Cathedral of San Gregorio Magno) in the old Albay District; the Our Lady of the Assumption Parish Church in Guinobatan, Albay; and Saint Raphael’s Church in Legazpi City. Cave exploration. Albay is a haven for spelunkers, with a number of caves found all over the province offering varying degrees of difficulty. Pototan Cave (Barangay Tinucawan, Batan Island, Rapu-Rapu) is accessible from the island’s beach via stairs and one of the easiest to traverse. There is an underground river inside that flows into different caverns, while multiple rock formations abound along with a generous number of stalactites and stalagmites. Also on Batan Island is the Minaroso Cave (Barangay Villahermosa), which provides a natural sanctuary for seabirds and swallows, while the Hoyop-Hoyopan Cave (Barangay Cotmon, Camalig) has remnants of coral embedded in its walls and on the ground, having once been below sea level. Eat up a storm. If spicy food is your thing, there is no better place in the country to feast on such dishes but Albay. Sibid-Sibid Food Park (328 Peñaranda Street, Bonot, Legazpi City) is where one goes for an introduction to authentic Bicolano dishes that are hot and cooked in coconut milk. Specialties include bicol express, tinotungang manok sa gata, crispy fish sisig, and homemade ice cream. For merienda, drop by DJC Halo Halo (across the Gaisano Mall in Legazpi City) for its grated-cheese-topped halo-halo, which come in special or supreme (with a scoop of ice cream). One shouldn’t miss eating the “new look,” a fleshy dried fish only available in Legazpi. Buy at the Legazpi Market to take home, or order it for breakfast at Hotel Venezia or Misibis Bay Resort. The Legazpi Market is also a haven for pako (fern) lovers. Suntan and a swim. Beaches abound in Albay, though these are of the grainy black-sand variety, pulverized over the centuries from the volcanic rocks spewed by Mount Mayon. Check out Barangay Sogod in the town of Bacacay; Kaluyukai beach in Santo Domingo; and Joroan beach in Tiwi. Busay Falls is one of the more popular destinations in Albay even for locals who enjoy a splash in its cold pool during the sizzling summer months. IN downtown Legazpi, check into Hotel St. Ellis (Rizal Street, and Gov. Forbes Street/www.hotelstellis.com.ph/), which has an elegant lobby washed in white, spacious rooms and a generous breakfast buffet. Value for money, considering its strategic location—about 10 minutes away from the airport, and a short tricycle ride from the mall. For great views of Mount Mayon, book a room at the Casablanca Suites (Benny Imperial Street, Legazpi City/T# 052-481-0788/http://www.casablancasuites.ph/). It has Wi-Fi access in its rooms, making it the perfect hotel for business travelers. The food is simple and overall service by the staff can be sluggish especially when the hotel is fully booked, but they make up for this with their friendliness and accommodating nature. BY air, Legazpi City is accessible from Manila and Cebu via Airphil Express and Cebu Pacific, and from Manila via Zest Airways. Check their web sites for daily schedules. You can also drive to Legazpi by hitting the South Luzon Expressway and exiting at Calamba City. You pass through San Pablo, Lucena and Quezon then turn to Quirino Highway that will take you to Bicol. It’s a long albeit scenic route, so take frequent stops along the way to stretch your legs and back, as well as to eat and use restrooms.